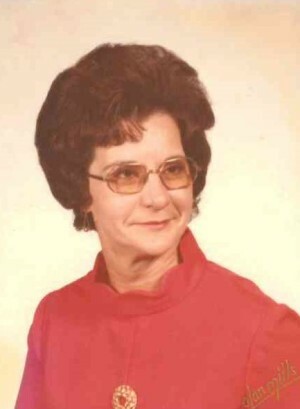 Obituary for Rose E. (Abbott) Willis | Thompson Funeral Home, Inc.
Rose E. Willis, 84 of Orangeburg passed away Tuesday, February 5, 2019 at Pruitt Health of Orangeburg. A Graveside Service will be held 11:00 AM Friday, February 8, 2019 at Pleasant Hill Baptist Church Cemetery; 150 High Cotton Lane, Springfield, SC 29146. Rev. Tant Ehrhardt will be officiating. She was born March 7, 1934 in Orangeburg County, SC; the daughter of the late Jessie Abbott, Sr. and the late Lizzie Bolin Abbott. She was retired from U.S. Plywood and had worked at Ace Hardware. She was a member of the Orangeburg Council on Aging. Survivors include 2 daughters; Diane W. (Donnie “Boot”) Bell of St. Matthews, Teresa Moore of Orangeburg; 2 grandchildren; Terrie (Kenny) Craig; Amanda (Billy) Browning; 4 great grandchildren; Austin and Joseph Craig; Justin and Joe’L Browning; 1 great great granddaughter; Brielle Zeigler; 2 sisters; Lois Barr of Springfield and Louise Rollins of Newberry and a number of nieces and nephews. A visitation will be held from 6:00-8:00 P.M. on Thursday, February 7, 2019 at Thompson Funeral Home in Orangeburg. Memorials may be made to Pleasant Hill Baptist Church Cemetery Fund; c/o Timmy Barr; 7737 Neeses Highway, Springfield, SC 29146.